First 4 Figures has long been known for its incredible gaming related statues and its upcoming figure is no different. 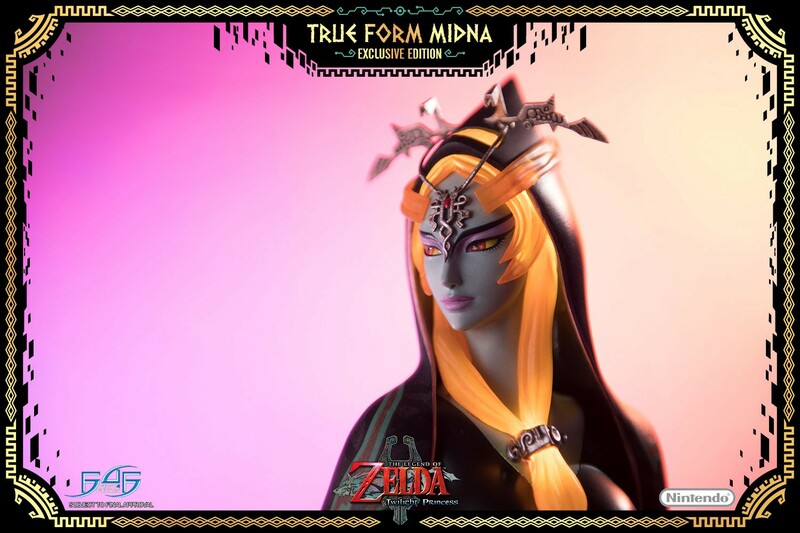 Taking inspiration from the Legend of Zelda series, fans will be able to get their hands on a recreation of Midna's true form from the ending of Twilight Princess. I've always been partial to that design and the attention to detail on this statue is just incredible. Pricing for the "standard" and "exclusive" editions will be $484.99 with the main difference being that the exclusive variant lights up in specific places. There will also be a "definitive" version going for $784.99 (WTF?!) that includes a display case and lighting to truly show off the attention to detail done to Midna. If I had a ton of money to burn, I might be inclined to pick that version up, though even the normal one is way too pricey for me. Pre-orders for the figure will be going up on May 15 with an expected ship date of Q2 2019. You'll have until June 12 to decide if you want the exclusive or definitive editions, as pre-orders will close for those versions after that date.